"Camilo could see how the calm assertiveness with which he had told his compatriots they were free had opened the invisible sluice gates, giving this enormous human mass its direction and thrust." What would happen in Cuba if Fidel Castro and his brother fell? "Fidel cayo. Fidel Callo. Fidel silenced. Fidel fell." Such is the premise of Elizabeth Huergo's book. It all begins with a -- hopeful? -- error. Fidel Perez is drunk and heartbroken; he's shouting for his ex-lover when the balcony gives way. 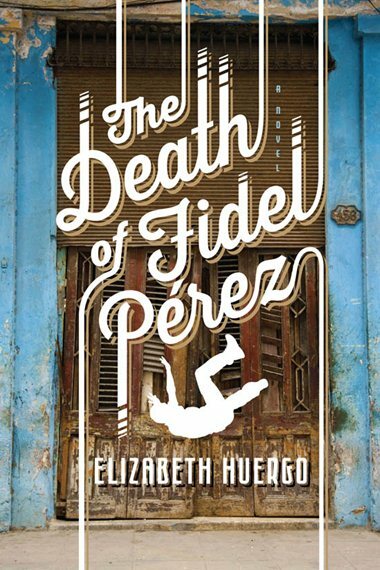 His brother rushes to his rescue, but unfortunately, both fall to their deaths on the anniversary of the Moncada Army Barracks Riad of 1953. A fitting day to die, some say. As one neighbor yells to the other that Fidel and his brother are dead. Others hear the shouts and confuse one set of brothers for another. Readers will see the island's past and present through the sad, hurting eyes of the protagonists: Justicio, an elderly neighbor, who saw the brothers fall and in their fall sees a lost generation. Saturnina, who lost her son and her mind, and waits for her son's resurrection now that Fidel is dead. Professor Pedro Valle, a political prisoner, who still cowers in dark corners, talking to the ghost of an old rival. Camillo, one of the stunted generation, longing for direction and a better life that probably will never materialize. All are caught up in this one rumor -- Fidel cayo. Fidel has fallen. And, as luck will have it, the broadcast stations are down and silent giving the rumor credibility. Confused, exhilarated, the crowd moves towards the Plaza de la Revolucion. Growing in numbers, giddy with the possibility of freedom. The cry is taken up and the people take to the streets. They, who previously have only shared their despair in silence, now share their hopes together and out loud. Then, reality rolls down the avenue in armored tanks. Once more the people and the government face off. Can a small beacon of hope spark a new revolution?